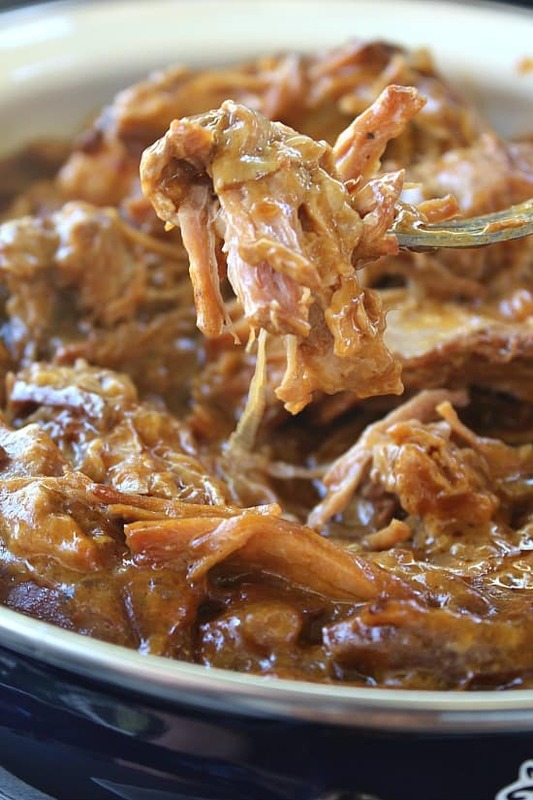 This crock pot BBQ pork roast is creamy and super delish. I had made this the other night about 11 pm and by morning this roast was done and ready. If you are like me, there are not enough hours in the day for everything that needs to be done. 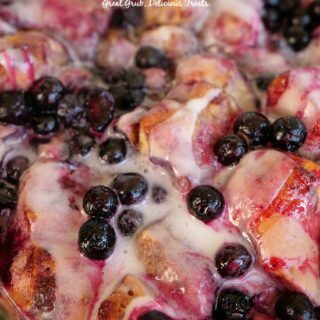 Having a crock pot makes life so much easier. 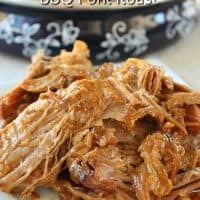 This barbecue pork roast is very flavorful and super creamy. 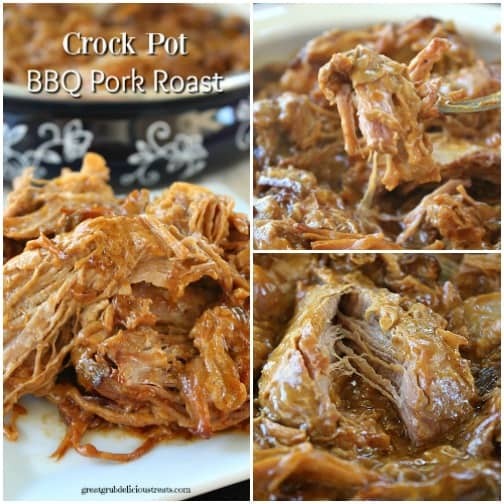 What I love the most about using a crock pot is the simplicity of making a meal. Put in the roast, season with garlic salt, salt and pepper. Pour the barbecue sauce on top of the meat. Next add the soup on top of the sauce and that’s it. Cover, turn on and forget about it. 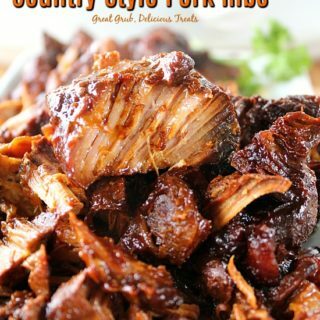 After 6+ hours or so, you will be serving a delicious tasting pork roast that has a creamy barbecue flavor. 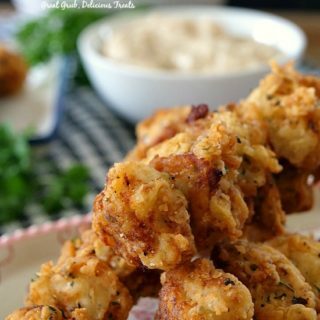 Another thing I love about using a crock pot is that it’s so easy to make a meal, and that meal can be turned into many different meals to use during the week. 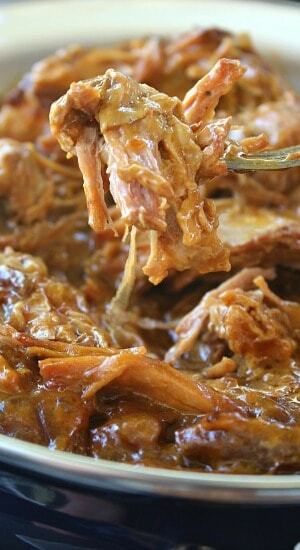 This recipe makes excellent pulled pork type sandwiches. 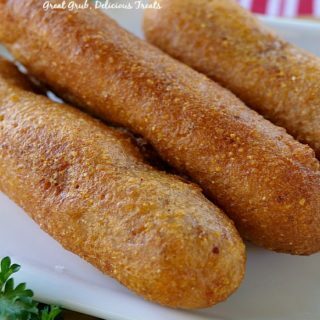 It’s great for using in burritos too. So versatile. 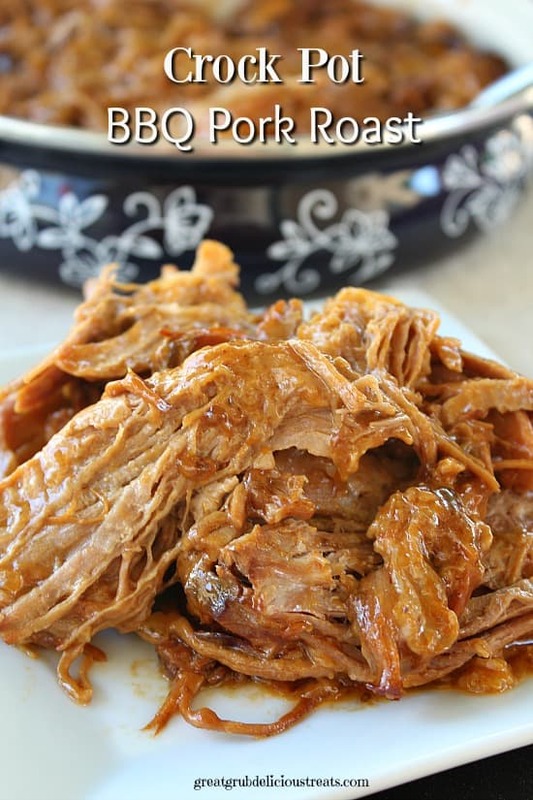 This crock pot BBQ pork roast is super tender and just falls apart. 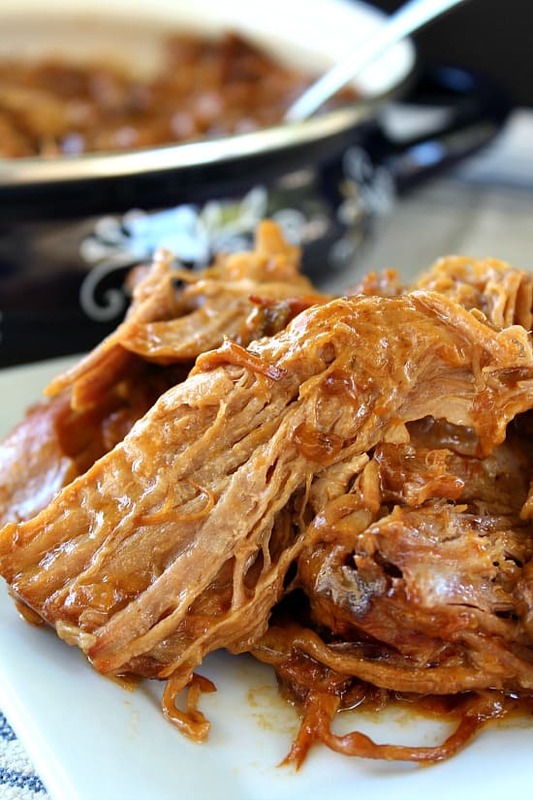 So pull out your crock pot, dust it off, and make a delicious pork roast. You’ll be so happy you did. I hope you enjoy this tasty roast. My brother was here and said he had never thought of using the mushroom soup and barbecue sauce together. I have always been one to just throw stuff together knowing that whatever I was making would taste great. Not always, but usually. 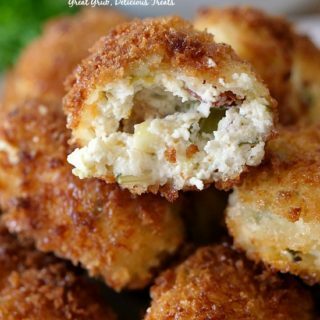 This is one of those recipes that I have made for many years that has always been a hit. 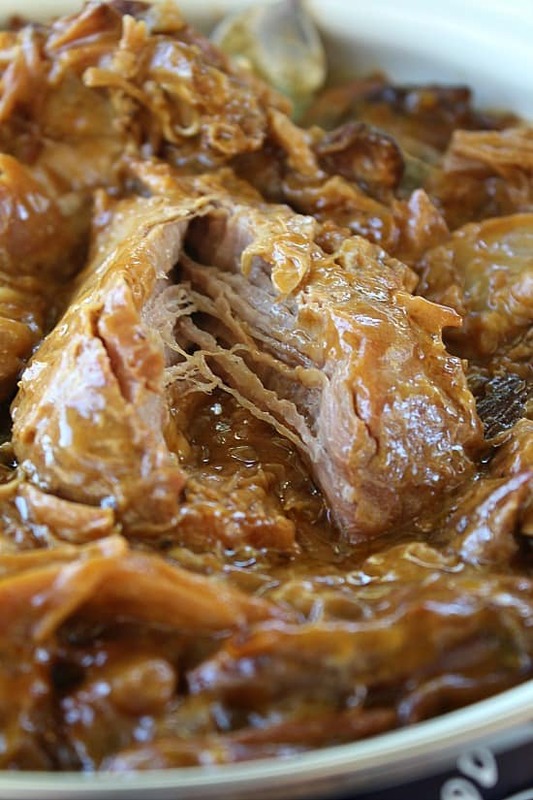 This crock pot pork roast recipe is super simple. 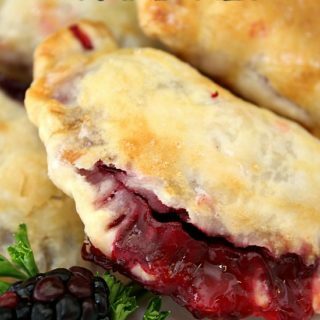 Only a few ingredients away from a delicious tasting meal. 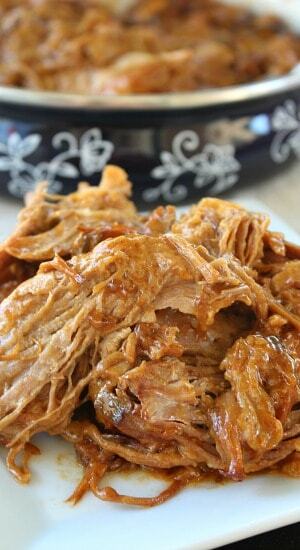 In a large 5-6 quart crock pot, add roast, onions and season with garlic salt, salt and pepper. Pour BBQ sauce over meat. Next, spoon soup over meat. Cover and cook on high for 6-8 hours, or low for 8-10 hours, until meat just falls apart.